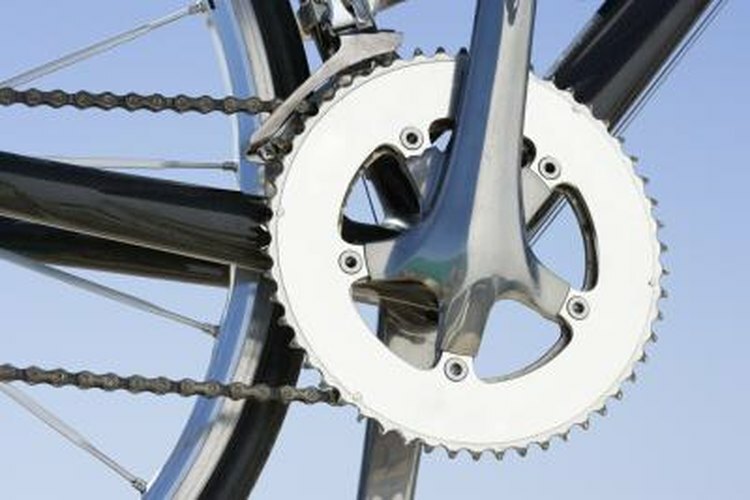 Knowing the best way to shift gears on a bicycle can make for a more enjoyable ride. Riding a multispeed bicycle can be a lot of fun and good exercise, but knowing how to shift will make your ride much easier. These tips on shifting gears on a bicycle will make the ride more enjoyable. Multigear bicycles have two shifters -- one on the right handlebar and one on the left. The one on the left usually has three settings, while the one on the right will have five to eight settings, or perhaps even more. The shifter on the left controls the front gear settings -- by the pedals. Changing this setting makes a big difference in your pedaling. Think of "1" as the uphill setting, "2" as the level setting, and "3" as the downhill setting. The higher the number, the harder it is to pedal. If you can't remember that, remember this -- low is lazy, high is hard. The shifter on the right controls the rear gear settings -- on the rear wheel. Changing these won't change things too much and is used more to fine-tune your pedaling. This is the shifter you will use the most. Start thinking of your gear settings by the two digits the shifters are set at, starting with the one on the left. For example, if the left one is in gear 2 and the right one is in gear 5, you are in 2-5. Avoid settings at the extremes, such as 1-6 or 3-1. They will stretch the chain and should be avoided. If you're in 1-5 and it's too easy to pedal, shift up to 2-3 or so and fine-tune from there. Look ahead and shift before you need to. Sometimes if you're putting too much pressure on the pedals, the gears won't shift smoothly. If you see a hill coming up, downshift a bit early to anticipate the climb. At the end of the ride, shift to a middle gear such as 2-3. The next time you take your bike out for a ride, you'll be glad you're not in 3-6 when you start pedaling.